But whatever you do, don’t ever make the mistake of serving bad food. If feeding the guest is your only concern, you don’t need a professional to do that. You can just order takeout or have your local restaurant deliver to your location and your problem is solved. It’s not their fault, of course. Your decision on caterers in Florida could very well make or break your event. You know how when you have so many choices of catering services—and each choice seems to be better than the last—that it’s very hard to decide? It’s the same with the unfiltered search engine like Google. It’s understandable that the social media pages and websites of these caterers all brag about being the best. It’s filtering out the claims that are difficult. Finding a caterer is not hard in the sense that a cursory search on Google will yield you multiple results of businesses near your location. Before making your choice of the caterer to feed your guests for your wedding, birthday and corporate event, consider first the following factors. Whether you are planning for 60 or 6,000 guests, choosing the right catering company that can help feed them all is important. If you are really on a budget, you can send ticket stubs along with the invitation to make sure that the guests won’t bring anybody else over the seat/s you reserved for them. Do not just to come up with the budget; a firmed up guest list ensures that nobody goes home hungry. A boutique caterer thrives when there are only a few guests. They are more suited for intimate birthday gatherings or wedding events of around 20-30 people. Other companies will need a longer notice if the guest list will reach more than 100 people or so. Also, it’s important to plan ahead to make sure the fruits and vegetables you picked for the food are in season. This goes also for your special orders that are not in the menu package. Who’s in charge of the catering service in Florida? It’s easy to make the mistake of just leaving the company to do its job for your corporate event. After all, you are dealing with a professional, right? Wrong. If three or more companies are shouldering the costs, the complexity of the negotiations would make the head of the caterer spin. If you ask for the estimated cost from the caterer, expect to answer some questions like how many guests are expected, where is the location of the event, when is the schedule of the event, and do you need some special requests. The point person will communicate what they want the vendor to deliver, and make sure they don’t sway from the overall theme. You can help ensure catering services to go smoothly by helping avoid too many chefs from spoiling the broth, so to speak. Although the menu package that you choose from the contractor is constant, the caterers need to know what to serve if there are special diets being followed by your guests. An event may be more intimate, which allows family members and guests to give their food and beverage preferences to the catering team. For big events, you need to hire a party planner who will team up with caterers to make sure everything will go smoothly. This is to ensure that the catering companies will serve the right food for the diverse tastes of the guests. Convention and banquet halls are easier to serve because they have running water and an electrical source. But there are times when the event is held outdoors, which can pose a challenge to the caterer. Typically, the caterers will talk to the director of the hotel or convention center for an inspection and also discuss their particular requirements. This happens behind the scene so you don’t really have to know the details. What do caterers need? They need a source of electrical power or running water, they need a lot of elbow room for the servers and possibly kitchen space. Now, you really have to be prepared to go over your budget because the service provider will pass on to you the additional costs in bringing the tools and equipment to the location. There are times when the location will prove to be logistically challenging for the caterers. What are your special requirements in Florida? Now, if the expense is not an issue then you can certainly get the best chef to feed your guests. You can also go to town in terms of your demands and requirements. Your catering service should be flexible and creative enough to give your event that special touch. Before even choosing your caterer, make sure to come up with your list first. All questions need to be sorted out during the initial meeting with the wedding caterer. Catering Authority is a platform where you can read up on reviews of each caterer near your location. It makes it that much easier to choose one caterer that is perfect for your needs. Working with us means you are actually choosing from among the better providers near you. Choosing a caterer should be based on experience, professionalism, and creativity. Catering Authority has a list of all the credible and reputable companies in Florida. Now, how do you know if what they are claiming is true or nothing but hot air? Catering Authority will do the heavy lifting for you. 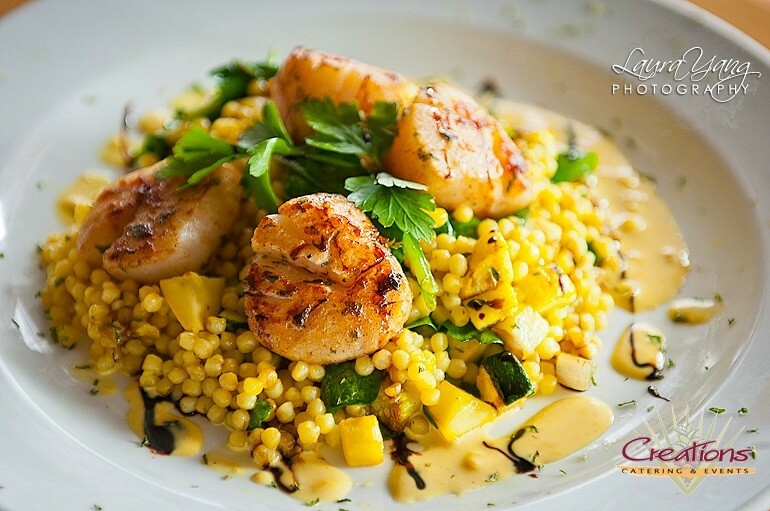 To browse through the catalogue of caterers near Florida, visit www.catering authority.com.